Hawaiian music is much more diverse than one might expect. I have much to learn about traditional and contemporary Hawaiian music and plan to do just that during future visits. I do know, however, that I like what I hear. On our first visit, we discovered KAPA-FM on the dial—Hawaii’s most-listened-to radio station. Whenever I need my Hawaiian music fix at home, we listen online. I have the app on my iPhone and iPad, and I stream it on my computer to remind me of happy times in Hawaii. The station does play lots of beautiful traditional Hawaiian music. I am also happy to report that any song can be played Hawaiian island style. You name it and we have heard it and it always brings a smile to your face. In Hawaii, it’s a great option to catch some local music. 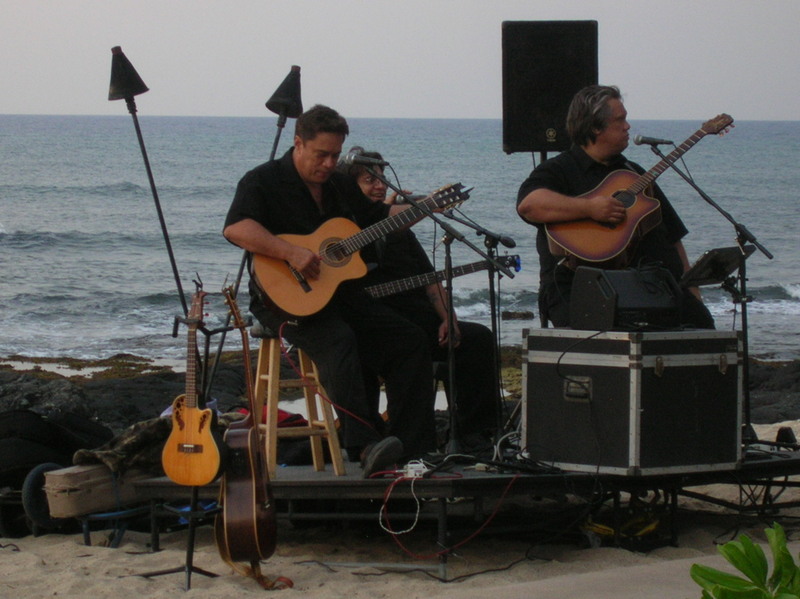 We especially enjoy listening to Hawaiian slack key guitar—the mesmerizing style unique to Hawaii. This is an art form to appreciate. Listening to it brings back memories of treasured trips and the beautiful surroundings. There is a website devoted to the Hawaiian Slack Key Guitar Festivals held each year. I’d love to check one of these out on a future visit to the islands. If you need some Hawaii on this Aloha Friday, you can’t go wrong listening to some Hawaiian music. Go to KAPA online, Home of Hawaii’s music, and stream it from anywhere in the world. Spring has finally arrived, so I’m going to stream it now to kick off the weekend. This entry was posted in Hawaii, Travel and tagged Hawaii, Hawaiian Islands, Hawaiian music, Hawaiian Slack Key Festival by alohajournal. Bookmark the permalink.